The anticipation is building for our 8th annual Migration Flight Training Conference. It's going to be an awesome three days at the AOPA You Can Fly Academy and we'll have some remarkable people taking the main stage to inspire and prepare us to move flight training forward. 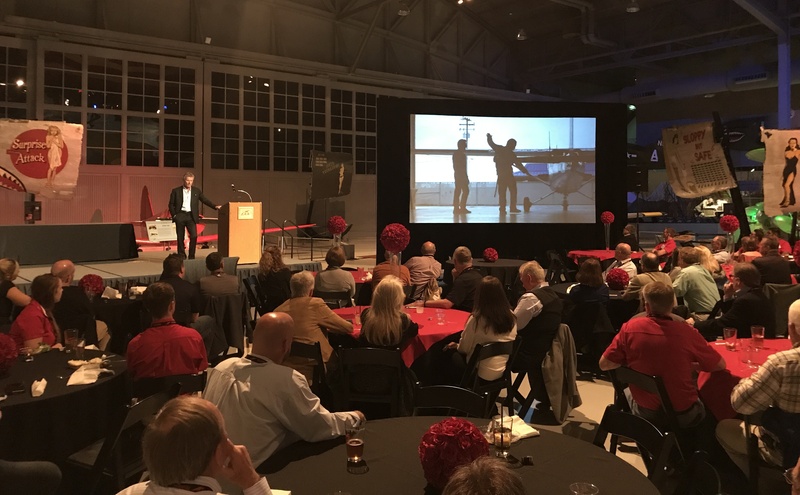 The Migration main stage provides a rare opportunity for the flight training community to collectively focus on the bigger picture of our work. We invite speakers with diverse backgrounds to illustrate how broader business trends can and will impact the future of aviation. We couldn't be more excited for this year's lineup. See it for yourself and—if you haven’t already—click here to register. Michael Goulian is one of North America's most decorated aerobatic pilots and recognized aviation professionals. His signature air show performance combines the heart-stopping gyroscopic tumbling of modern display flying with the crisp, aggressive demands of precision competition aerobatics. Competing as Team #99 in the Red Bull Air Race Master Class, Goulian and his team currently are engaged in a battle of technology, skill, and execution against 13 of the world's most elite pilots. Mark Baker has been flying for more than 35 years. He has more than 10,000 hours in the left seat and a commercial pilot certificate with single and multiengine land and seaplane ratings, rotorcraft rating, and type ratings in the Cessna Citation 500 and 525s. Under his leadership, AOPA created an umbrella program, You Can Fly, that allows the organization to grow and strengthen several areas of the flying community: flying clubs, rusty pilots, flight schools, high schools, ambassadors, and student pilots. At Harley-Davidson, Jerry Wilke and a small leadership team overcame near bankruptcy and some of the strongest competitors in the world to develop over 20 years of growth and one of the world's most recognized and respected brands. Now, Jerry provides strategy and leadership consulting primarily for the aviation, marine, and motorsport industries. He'll discuss strategies that go beyond great products and services to deliver an emotional, 'tattoo-worthy' customer connection with you, your organization, and your brand. Bill is a Director and current President of the Recreational Aviation Foundation and is passionate about its mission to preserve backcountry airstrips. He previously worked for Hewlett-Packard for 24 years, joining its then nascent printing division in 1981 which grew to a $13 billion business by the time he retired as a Senior Vice President in 2005. Having finally achieved his dream of becoming a pilot in 1995, he now flies as much as possible. AOPA Editor in Chief Tom Haines joined AOPA in 1988. Under his leadership, AOPA has expanded its media properties to include Flight Training magazine and a host of electronic media. He is the co-anchor of the weekly video magazine AOPA Live This Week. He owns and flies a Beechcraft A36 Bonanza. Since soloing at 16 and earning a private pilot certificate at 17, he has flown more than 100 models of general aviation airplanes. Craig Sabina is a Principal Consultant with McDermott & Bull and co-chairs the firm’s Aviation & Aerospace Practice with Rod McDermott. He is a 3,000-hour, IFR rated pilot and Piper JetPROP owner/operator. His decades of success as an entrepreneur, Board member and Board chair as well as his 17+ years as an aviator have been invaluable in his work for EAA, Honeywell, Cirrus, Hartzell, Wipaire, Thrush, Insitu, Airbus and other aviation/aerospace clients. Back by popular demand, Migration favorite Roger Sharp will be joining us again this year. He recently spoke at the FAA Aviation Workforce Symposium about maximizing efficiency in training, and training to proficiency. At Migration, he'll explain "Why Students Fail Checkrides…and It’s Your Fault." Who can predict what Roger might say? For more information on Migration, please visit the event page at imagineflight.org/migration.